Dash indicator light used on many M-series vehicles. P/N 8376499, 16B1582726. NSN 6210006999457. Common applications are high beam indicator and front axle lock. Uses mating connector MS27142-2 or MS27142-3. 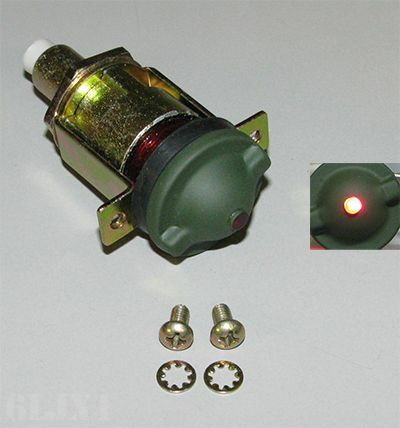 Indicator light includes a 24 volt bulb (uses standard T-3 1/4 style bayonet base lamp). Light fixture housing is metal. Rubber seals on lamp lens and is dust and water resistant when properly installed.